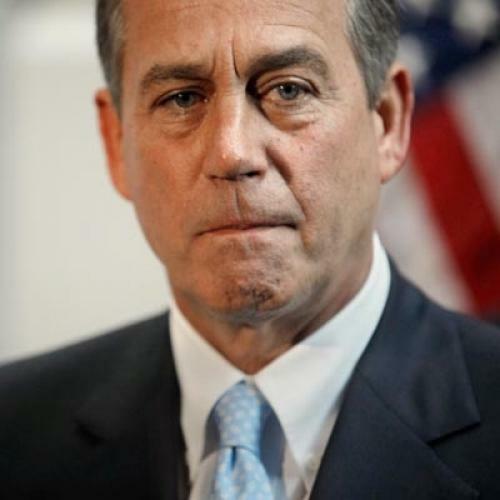 How John Boehner made a government shutdown inevitable. Up until now, a government shutdown because of a stalemate over the budget was a strong possibility, but it didn’t appear inevitable. That’s because House Speaker John Boehner stands to be badly hurt by the train wreck a shutdown would be, and I’m confident—from what he’s said and because he was around the last time it happened—that he realizes it. But his decision last week during House consideration of the must-pass spending bill to open up the floor to unlimited amendments reframed the issue in a way that gives Boehner much less room for compromise. Just to recap the mechanics here: The Democrats last year (inexplicably) failed to pass the appropriations bills that would keep the government running through the current fiscal year, opting instead to pass a temporary measure that runs out on March 4. Unlike the debt ceiling, this one is a hard deadline. If Congress and the president don't act, the government will shut down. National parks will close; most federal employees and most of the vast hordes of government contractors won’t get paid for the duration of the shutdown; and applications for visas, passports, Social Security, and veterans’ benefits won’t get processed. A few days of that is an inconvenience. A couple of weeks, as Republicans found out in the mid-’90s, is a disaster. If the only question was about funding levels, which was always expected to be a battleground, then it’s doubtful a compromise would’ve been impossible. The budget debate might have gone to the brink, maybe even shutting the government down for a few days before a deal was reached. In theory, however, it’s just not that difficult to cut a deal between one side that wants X dollars and another side that wants Y dollars spent on, more or less, the same set of programs. Granted, many Republicans campaigned on cutting $100 billion from federal spending right away, and the final compromise total wouldn’t get them there. But, whatever the government would spend for the remainder of FY 2011 would inevitably be less than it would have been had the Democrats retained control of the House. So the GOP would have been able to call the final spending total some kind of victory. Boehner had the chance to make this battle about just spending levels. In that case, a shutdown could still have happened. But, instead, the speaker allowed the fight to become about so many policy issues that it’s hard to keep track of them all. He can neither win nor abandon the amendments he let pass, meaning an ugly shutdown is all but certain.